Answer: It is not only illegal to keep raccoons (or any wildlife) as pets or in captivity, but it also may be dangerous. 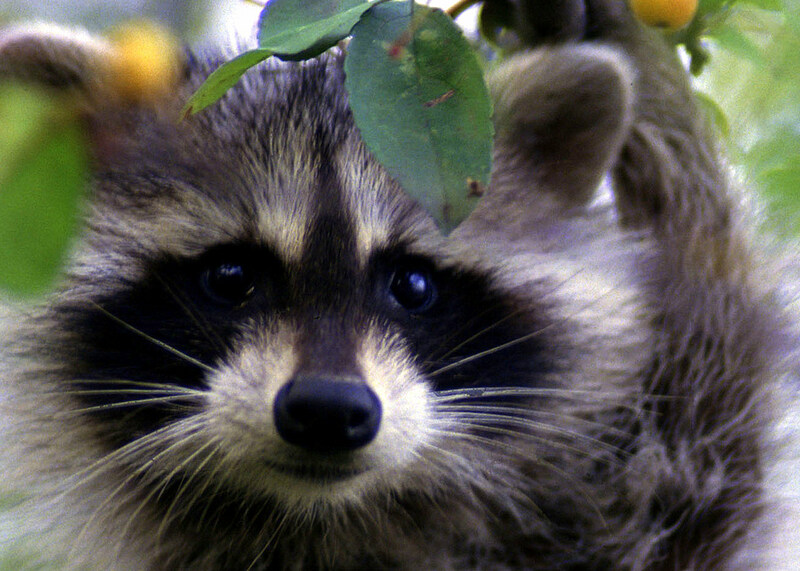 Wild animals such as raccoons can become very aggressive and dangerous to both humans and pets as they mature. In addition, they can carry diseases and parasites that can present health risks to humans. Wildlife need to be kept wild for their safety and well-being, as well as ours. Only people who are permitted by DFG (for example, licensed wildlife rehabilitators or exhibitors) may keep wildlife in captivity. To report this situation, please contact our CalTIP line at 1-888-334-2258. Can full Alabama rigs be legally fished in ocean waters? Answer: Alabama rigs have been all the rage, as well as very controversial, in the bass fishing circuits this year. While in freshwater lakes and Delta waters the Alabama rig must be modified (only three hooks total allowed rather than the standard five), in ocean waters no modifications are required. However, if fishing for salmon or rockfish or if salmon or rockfish are in possession, the angler would be limited to only two hooks. Shooting from side-by-side carts on private property? Answer: California Fish and Game laws prohibit shooting from a vehicle when you are shooting at wildlife and you cannot shoot from any vehicle that is on a way open to the public. In addition, there are restrictions in the Penal Code against discharging firearms in certain incorporated or unincorporated areas, even if you are on private property. Information regarding these Penal Code provisions are available online in the “Firearms Laws” (Booklet by California Department of Justice) (PDF) on the DFG Enforcement homepage (www.dfg.ca.gov/enforcement). The one exception here would be for mobility impaired disabled hunters who qualify for a special hunting license allowing the person to use a motor vehicle to pursue game. The vehicle would still have to be stopped before the hunter could shoot from the vehicle. For more information on this special license, please visit http://www.dfg.ca.gov/licensing/hunting/huntdescrip.html. Answer: In general, it is not legal to buy or sell the parts of any game bird or mammal found in the wild in the state of California (Fish and Game Code, section 3039(a)). However, FGC section 3039(c) allows the purchase and sale of shed antlers or antlers taken from domestically reared animals that have been manufactured into products as long as the antlers are not complete, attached to a head, mounted for display, or in velvet. As far as your question, if the antlers are from sheds and are made into bottle openers, they would be allowed to be sold in California. Another option would be to purchase antlers from animals such as caribou or moose, since they are not found in the wild in California. This entry was posted in Buy/Trade/Sell/Gift, Decoys, Firearms/Ammunition, Pets, Regulations, Tackle, Turkey, Wildlife Encounters and tagged big game hunting, firearms, fishing tackle, freshwater fishing, nuisance wildlife, ocean fishing, regulations, Selling animal parts, turkey hunting. Bookmark the permalink. I’ve seen a raccoon attack a friend’s Golden Retriever and leave a nasty scar on her face til this day. A raccoon is NOT the type of animal you want around, trust me. They also are nasty like rats and disease carriers, they are to be avoided not kept.